Your www.smartsurveys.be Account and Content. We have not reviewed, and cannot review, all of the material, including computer software, made available through the websites and webpages to which www.smartsurveys.be links, and that link to www.Smart Surveys.be. SMART SURVEYS does not have any control over those non-www.smartsurveys.bewebsites and webpages, and is not responsible for their contents or their use. By linking to a non-www.smartsurveys.bewebsite or webpage, SMART SURVEYS does not represent or imply that it endorses such website or webpage. You are responsible for taking precautions as necessary to protect yourself and your computer systems from viruses, worms, Trojan horses, and other harmful or destructive content. SMART SURVEYS disclaims any responsibility for any harm resulting from your use of non-www.smartsurveys.bewebsites and webpages. As SMART SURVEYS asks others to respect its intellectual property rights, it respects the intellectual property rights of others. 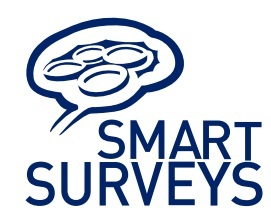 If you believe that material located on or linked to by www.smartsurveys.beviolates your copyright, you are encouraged to notify SMART SURVEYS. SMART SURVEYS will respond to all such notices, including as required or appropriate by removing the infringing material or disabling all links to the infringing material. SMART SURVEYS will terminate a visitor’s access to and use of the Website if, under appropriate circumstances, the visitor is determined to be a repeat infringer of the copyrights or other intellectual property rights of SMART SURVEYS or others. In the case of such termination, SMART SURVEYS will have no obligation to provide a refund of any amounts previously paid to SMART SURVEYS. This Agreement does not transfer from SMART SURVEYS to you any SMART SURVEYS or third party intellectual property, and all right, title and interest in and to such property will remain (as between the parties) solely with SMART SURVEYS. SMART SURVEYS, www.Smart Surveys.be, the www.smartsurveys.belogo, and all other trademarks, service marks, graphics and logos used in connection with www.Smart Surveys.be, or the Website are trademarks or registered trademarks of SMART SURVEYS or SMART SURVEYS’s licensors. Other trademarks, service marks, graphics and logos used in connection with the Website may be the trademarks of other third parties. Your use of the Website grants you no right or license to reproduce or otherwise use any SMART SURVEYS or third-party trademarks. SMART SURVEYS may terminate your access to all or any part of the Website at any time, with or without cause, with or without notice, effective immediately. If you wish to terminate this Agreement or your www.smartsurveys.beaccount (if you have one), you may simply discontinue using the Website. SMART SURVEYS can terminate the Website immediately as part of a general shut down of our service. All provisions of this Agreement which by their nature should survive termination shall survive termination, including, without limitation, ownership provisions, warranty disclaimers, indemnity and limitations of liability. 1. Behoudens andersluidende schriftelijke overeenkomst zijn alle handelingen, diensten en overeenkomsten van of met onze onderneming onderworpen aan onderstaande algemene voorwaarden. De klant verklaart deze bepalingen te kennen en ze zonder voorbehoud te aanvaarden. 5. In geval van gehele of gedeeltelijke niet-betaling van de schuld op de vervaldag, zonder ernstige redenen, wordt na vergeefse ingebrekestelling, het schuldsaldo verhoogd met 12%, met een minimum van EUR 50, zelfs bij toekenning van termijnen van uitstel. Dit geldt als forfaitaire schadevergoeding voor de andere onkosten dan het renteverlies en de eventuele gerechtskosten. 6. Elk geschil dat ontstaat naar aanleiding van deze overeenkomst kan alleen beslecht worden door de rechtbank van het arrondissement verbonden aan de maatschappelijke zetel van de verkoper. 7. Klachten betreffende onze facturen, dienen schriftelijk Ingediend te worden binnen de 8 dagen. Na deze termijn zijn ze niet meer aanvaardbaar.